Nylon lace-up brace to provide ankle support. Is the DonJoy Performance Anaform Lace-Up Ankle Brace Right for me? The DonJoy Performance Anaform Lace-Up ankle brace is ideal for chronic ankle instabilities and pain or for recent mild ankle sprains. Provides support, compression and stability for pain relief so you can continue your day-to-day activities. Mild ankle sprains, strains and instabilities. The DonJoy Performance Anaform Lace-Up Ankle is designed to provide support for mild ankle sprains, strain and instabilities. The combined lace-up and Figure-8 strap features take the load off of the ankle and provides durability, compression and stability. Comfortable and breathable, the Anaform Lace-Up ankle eases ankle pain for all-day relief. 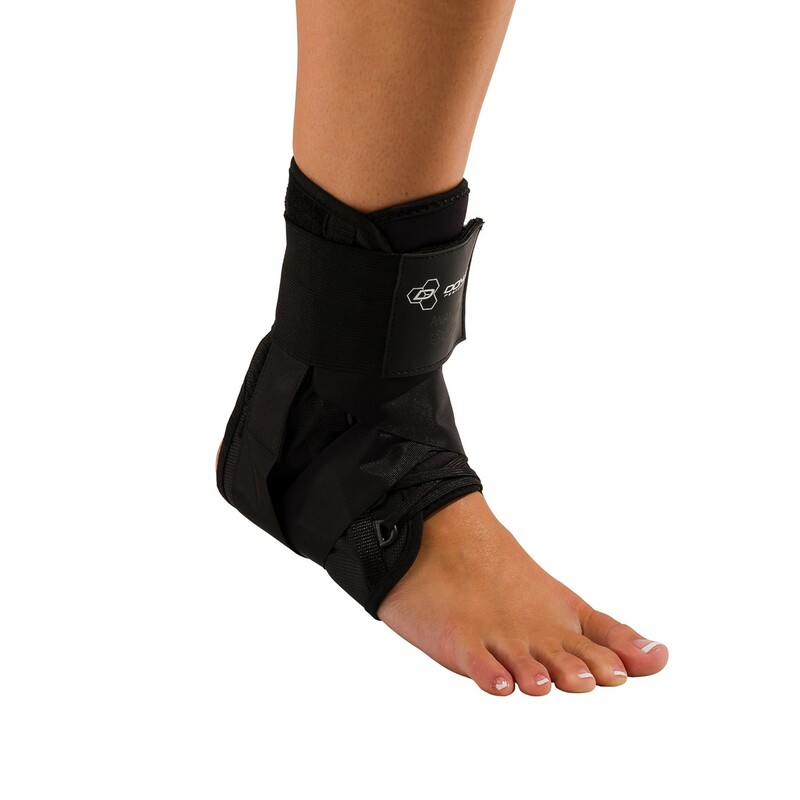 Also ideal for protecting the ankle from sprains during sports and high intensity activities. Fits most shoes and can be worn on either the left or right foot. Shop our complete selection of Ankle Braces and Supports or browse additional Anaform products.